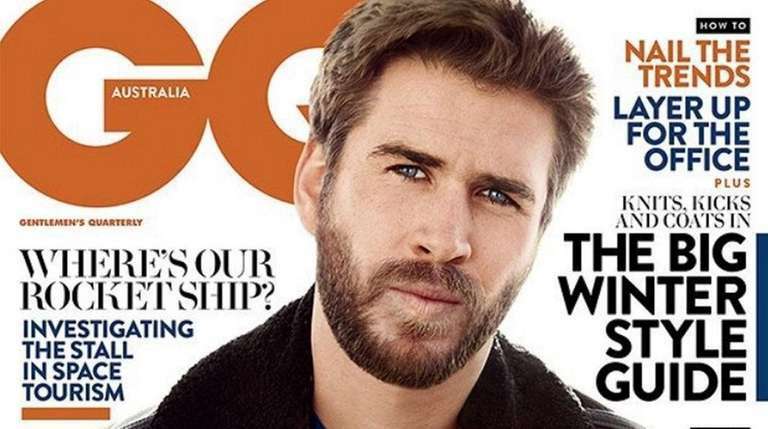 Liam Hemsworth is speaking about his rekindled romance with singer Miley Cyrus, elliptically suggesting that the public can infer where the two now stand. “People will figure it out, they already have . . . They’re not dumb,” the “Independence Day: Resurgence” star, 26, says in the June/July issue of GQ Australia. “I guess when I feel something, then I just feel it and I go for it,” Hemsworth, who was raised in that island nation with his actor brothers Chris and Luke Hemsworth, explained of the relationship. “I make my decisions about what’s going to make me happy, what I think is right and what I want to do — and I don’t worry too much outside of that,” he said, referring to engagement speculation that has dogged the couple since photos in January showed Cyrus, 23, wearing what appeared to be her ring from their aborted 2012 engagement. Cyrus and Hemsworth began a romance after meeting on the set of their coming-of-age romantic drama “The Last Song” in 2009. They broke up and reunited at least twice before becoming engaged in 2012, and called off the engagement in September the following year. Rumors of reconciliation became widespread this past January after the Sydney, Australia, newspaper The Daily Telegraph said Cyrus and Hemsworth were seen behaving affectionately at a music festival. The paper also published fans’ Instagram photos of the two there, as well as a grainy shot of Cyrus at what it said was the Hemsworths’ New Year’s Eve party. Cyrus skipped a planned appearance in Los Angeles on Jan. 5 in order to remain in Australia.